Is your baby suffering from Asperger’s syndrome? Are you worried about her health? If you nodded along fervently, you might want to read our post here. Here we look at what is Aspergers in babies, its causes, symptoms and treatment options. Asperger’s Syndrome is a type of mild Autism. It is a development disorder that affects babies and is characterized by unusual behaviors and the preoccupation of weird things. A Viennese pediatrician, Hans Asperger is credited with discovering the condition in 1944, who studied varied behavioral patterns in his patients. It is difficult to detect the presence of the syndrome early as babies typically appear normal and share many traits with their contemporaries. However, some general symptoms can tell you whether your little one suffers from the disease or not. One of the most common symptoms of the syndrome is clumsiness. An affected infant may also begin walking and crawling later than the normal babies. However, it is also noteworthy that such babies show early language skills and might be better communicators despite the disorder. Also, your baby might develop a fascination for unusual and peculiar things. For instance, she may show a sudden interest in any electronic gadget or some household appliance. 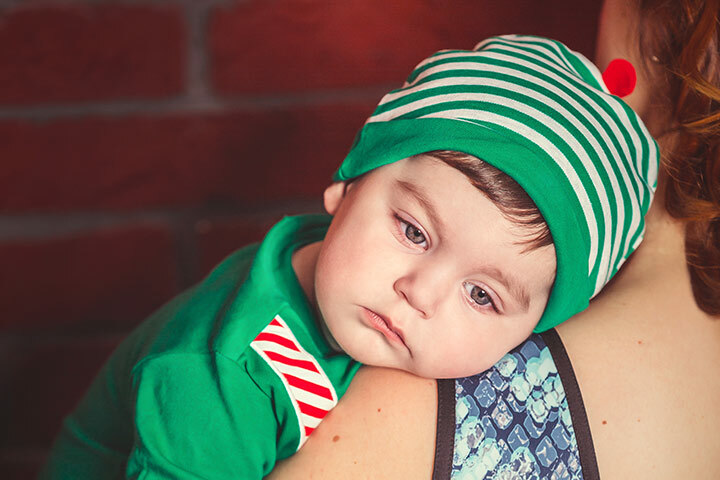 Further, your little one might become irritable and difficult to soothe. You will therefore need to find out unique and different means to calm her down. Babies who suffering from the syndrome often show interest in objects than in people around them. Your baby might appear thoughtful and serious than others her age. Some parents often report that their baby does not do well with the people she is not intimate with i.e. strangers and develop anxiety. If your baby is also showing such signs, then she might be suffering from Asperger’s syndrome. Some other symptoms include sensitivity to light, sound and touch. Some children may even perform repetitive movements such as hand flapping. In severe cases, your baby may harm herself by banging her head. Though there is no scientifically proven cause of this disorder, but many researchers are of the opinion that this might be a genetic disorder and babies with a family history of the condition are most susceptible to it. The severity of the disease varies among babies. Also, doctors base their treatment on the level of child’s development and age. They also take into account speech and behavior of the baby. Therefore, the treatment method for your baby will be different to that of another baby. These therapies increase the functional abilities of the baby. There are no specific drugs to treat the disorder. However secondary symptoms of depression, anxiety, obsessive-compulsive behavior and hyperactivity are treatable using certain medicines and drugs. Babies with aspergers syndrome are also lacking in verbal and non-verbal cues. Psychologists practice social skills therapies to cure such symptoms. We hope you found the post helpful. Has your little one suffered from Asperger’s syndrome? How did you control his symptoms? Share your experiences here. Leave us a comment below.